Like us to get updates & more! 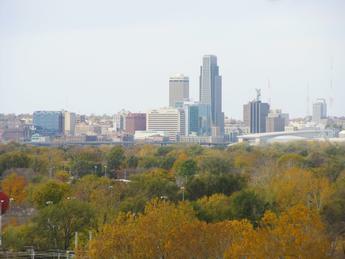 Parkwild Apartments are quietly nestled in the scenic wooded hills of Council Bluffs, Iowa. Just minutes from both downtown Omaha and Council Bluffs where you will find many great restaurant and entertainment activities. We are a pet friendly community with many floor plans to choose from. We offer remodeled and updated variations of 1,2, and 3 bedroom apartment homes. Our property has been completely renovated with an updated clubhouse, which features free Wi-Fi, a fully equipped kitchen, and a television lounging area for our current residents. We also have a beautiful swimming pool and private barbecue areas for resident use. We also offer on-site laundry facilities in each building and plenty of storage space. Call us today for more information and reserve your new home today!